When it comes to a website, design and functionality will make the difference between you and the competition. These hand-picked templates will give you the extra edge and along with good and engaging content you will be able to easily make profit. Without further ado, here are the best crypto currency templates. 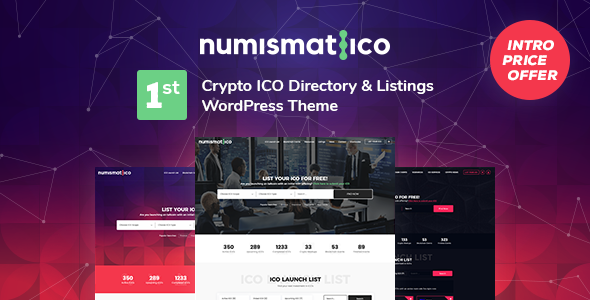 Let’s not forget about Numismatico – one of the best cryptocurrency WordPress themes you can get your hands on. If you are looking for an innovative and creative design for your crypto currency related website then you should definitely check this one out. Numismatico comes with two built-in premium plugins: WP Bakery and Revolution Slider, and is also integrated with the ModelTheme’s advanced admin panel. Customizing this theme is easy and you can change the typography, layouts, colors, header and footer, and more. 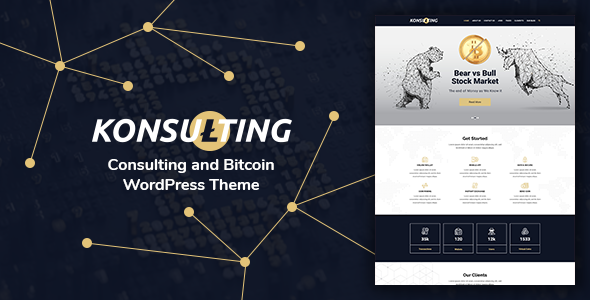 Konsulting is a responsive, intriguing, user friendly, and bold consulting and crypto currency WordPress theme. Whether you are a WordPress beginner or not Konsulting is just as easy to use. And in case you are having troubles with it you can check out its extensive documentation or contact the dedicated support representatives. Some of Konsulting’s options are integration with Visual Composer, Essential Grid, and Slider Revolution, unlimited colors, font options, unlimited sidebars, header options, Google analytics built-in, and various blog options. 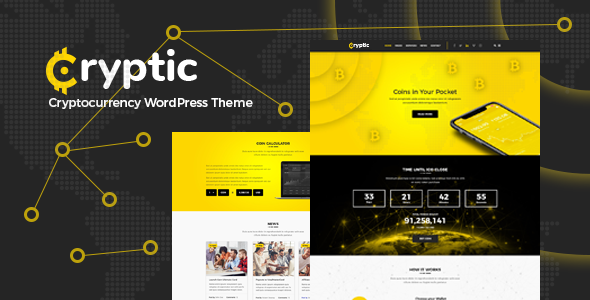 Cryptic is an amazing, useful, stylish, creative, and intuitive cryptocurrency WordPress theme perfect for building a professional currency website. It comes with a demo option, is fully compatible with Bitcoin WooCommerce payment method, and has a great crypto currency calculator. Cryptic was developed by a ThemeForest elite author and has reached the trending list quickly. This awesome and unique bitcoin, cryptocurrency, and ICO WordPress theme is full of incredible features and comes bundled with WPBakery Page builder, Slider Revolution, and Essential Grid. Check out its live preview! and do many other interesting and necessary processes. If you are searching for a straightforward, modern, clean, and stylish crypto currency template then this is the choice for you. This template contains impressive features but the most useful is the drag and drop website creator in comes with. Additionally, this templates comes with more useful features such as pre-made pages, personal blog template, subscription form, multiple widgets, presets builder, Google fonts, font icons, SEO integration, a fully responsive design, and the option to white label your website. It is worth checking out! BitChain is an innovative, fluid, unique, competent, elegant, and gorgeous cryptocurrency website template. This Bitcoin HTML template comes with its own page builder included to make it easier to bring your ideas to life. 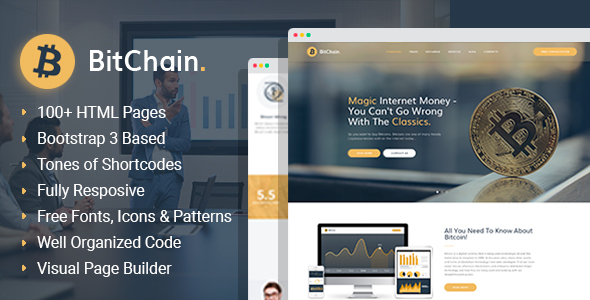 BitChain overs more than 100 HTML pages, tones of shortcodes, fully free fonts, icons and patterns. You will be able to create a fully functional website in mere minutes without having to have coding experience. Pave your way towards success with BitChain! BuyCoin is a one of a kind, visually stunning, clean, and intuitive landing page suitable for crypto currency trading. You have several choices for your homepage and it brings a bunch of features. You can easily use it to sell cryptocurrency all over the world as well as showcase important information about this new and attractive field. This landing page is fully responsive and very well documented. You also benefit from 6 months of free support so any questions you might have about it are sure to be answered. 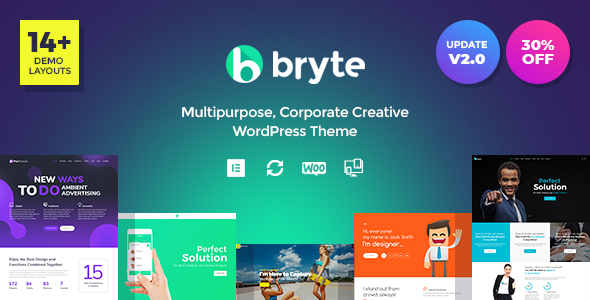 Bryte is a wonderful, reliable, versatile, user-friendly, feature-rich, and responsive WordPress theme. Because it is multipurpose and flexible it is a great choice for a cryptocurrency exchange website. Bryte comes with various already built beautiful demos and among them is one for Bitcoin currency websites. Whether you are planning to sell, trade, or simply offer valuable information about crypto currency, this is the template for you. Educate and build your audience with Bryte! 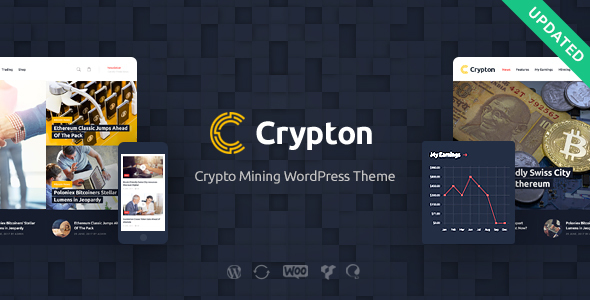 Crypton is an impressive, clever, smooth, efficient, flexible, and professional crypto mining WordPress theme. The theme is updated and improved constantly – the next update will add new skins, a crypto trading coach and trainer, and a pre-built shop. Crypton is a premium and modern WordPress theme that contains several pre-built pages, one-click demo installation, ThemeREX addons plugin, Revolution slider, header and footer builder, various custom post types, sidebar manager, and custom layouts. With Crypton you will stun audiences from all around the world. 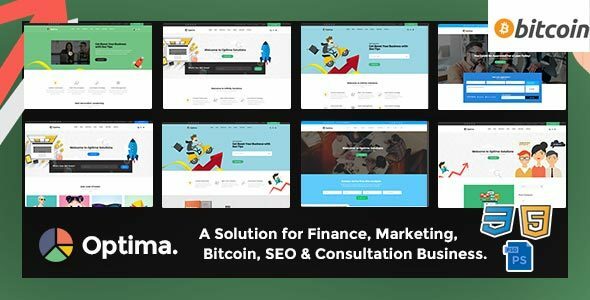 Optima is a template perfect for bitcoin, marketing, business, and finance websites. It offers 10 pre-designed and pre-built beautiful homepages to choose from and get started. This HTML5 template is ideal for beginners because it does not require any previous programming knowledge to use and set up. Optima comes bundled with Revolution slider and its PSD files. It is fully responsive and adapts perfectly to all devices and screen sizes. If you are looking for a cryptocurrency template check out Optima. HashCoin Plus is a stunning, popular, versatile, user-friendly crypto currency template. It is the ideal choice for currency websites and comes bundled with a page builder. HashCoin Plus has over 100 HTML pages including homepages, blog, and portfolio, light and dark skins, wide and boxed layouts, dozens of Google fonts, PSD files, parallax sections, and a valid and optimized code. You can create a beautiful website without having any previous coding experience. Try HashCoin Plus today! 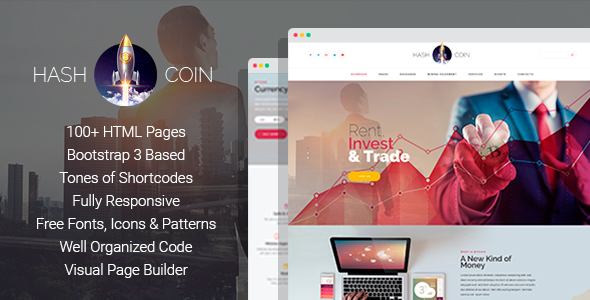 Crypto is a beautiful, seamless, modern, easy to use, and responsive cryptocurrency website template. It is extremely resourceful and will help you create in no time a professional website. The popularity around crypto currency has reached a new height and this template has your back. It is well documented, fully responsive, based on Bootstrap 3, and cross browser compatible. 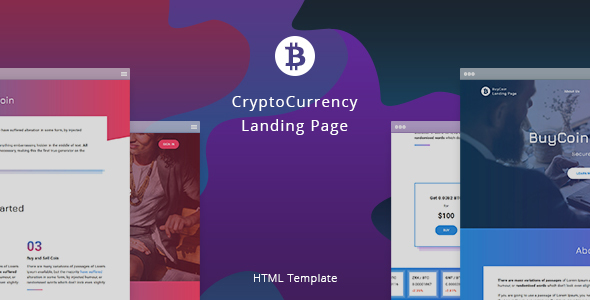 If you are searching for a good HTML template for cryptocurrency websites then Crypto is the one for you! Jevelin currently is the most popular cryptocurrency and ICO WordPress theme with thousands of customers. It is a multipurpose theme in is core meaning that you can use it for any project inside and outside of finance. Pursuit is an amazing theme for cryptocurrency and financial technology companies, providing a simple all-in-one solution for any startup. 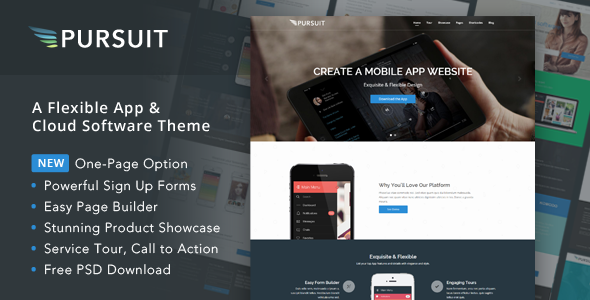 Designed from the bottom up with cryptocurrency and financial technology companies in mind, Pursuit is a powerful WordPress theme that will help you create a beautiful website with ease. Create a token sale, countdown timer, subscription form, and add app store buy buttons in a snap. Pursuit’s live frontend drag and drop builder helps you customize your WordPress theme using a large element library, allowing you to see real-time design changes and giving you the chance to test and try new things without worry. You get immediate access to over 40 widgets and more than 25 modular page templates that help you create the perfect cryptocurrency and financial technology site with limitless possibilities. 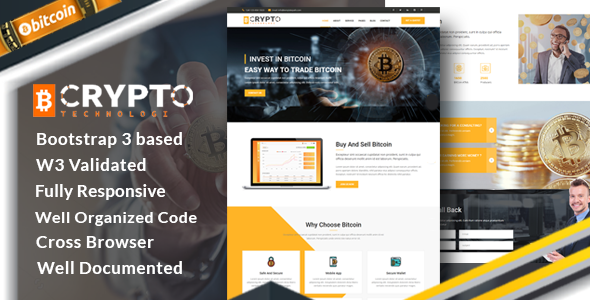 This intuitive cryptocurrency template allows you to easily add products and enable key payment services through WooCommerce which supports PayPal, Stripe, credit cards and over 100 payment gateway extensions. Combine the payment options with your favourite WordPress compatible cryptocurrency plugin. Build your own layouts or start with a preset theme for a cryptocurrency exchange, bitcoin trading platform, digital wallet, ICO or token sale, with more added regularly. All presets are built with a keen attention to detail and specific to the cryptocurrency and financial technology niche. Developed by an Envato Elite team, creators of best-selling themes and a 5-star rating with over 15,000 happy users, Pursuit is a beautiful cryptocurrency and financial technology WordPress theme with live frontend drag and drop builder and a flexible form builder. As the saying goes ‘the early bird catches the worm’ – so go ahead and choose one of the cryptocurrency templates above and start your own crypto coins related website today. If you know a cryptocurrency template that deserves to be on this list, let us know in the comments below and we will make sure to add it.